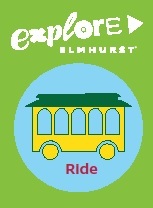 Be one of only 20 businesses and/or not-for-profit organizations to purchase interior display advertising space (14"H-by-20"W) for the 2019 Explore Elmhurst Trolley Summer Program, which will run for 16 weeks, starting in June and ending in September, along with special runs on five Saturdays in November and December. 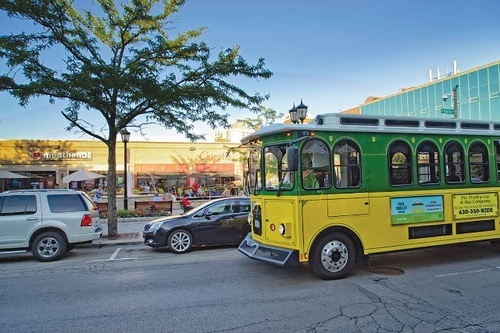 The Elmhurst Elmhurst Trolley will service the downtown Elmhurst (Elmhurst City Centre), Spring Road Business District and York and Vallette Business District. Fridays and Saturdays during the summer, plus special Saturday-only Christmas holiday runs.